A fun adventure through an ever-changing game board! Hurry along the path through a fun park packed with rides! Zip by the roller coaster, coral reef carousel and more on your journey! Shortcut slides zoom you ahead or fling you back! 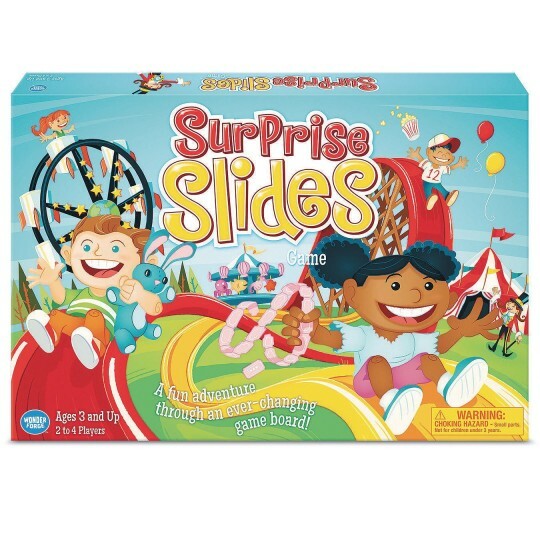 You’ll never know when the attractions will mix and flip – it’s a different game board every time you play! For 2 to 4 players.